Sherbourne Common is in the heart of the new East Bayfront community. Spanning from Lake Ontario to Lake Shore Blvd, on either side of Queens Quay, this park has something for everyone, including a wide lawn and a splash pad that becomes a skating rink in the winter. 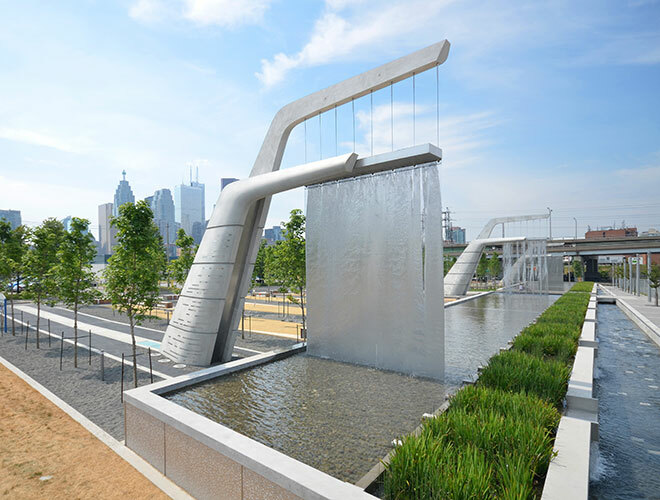 A water channel runs the full length of the park and includes three dramatic art sculptures called Light Showers by artist Jill Anholt. 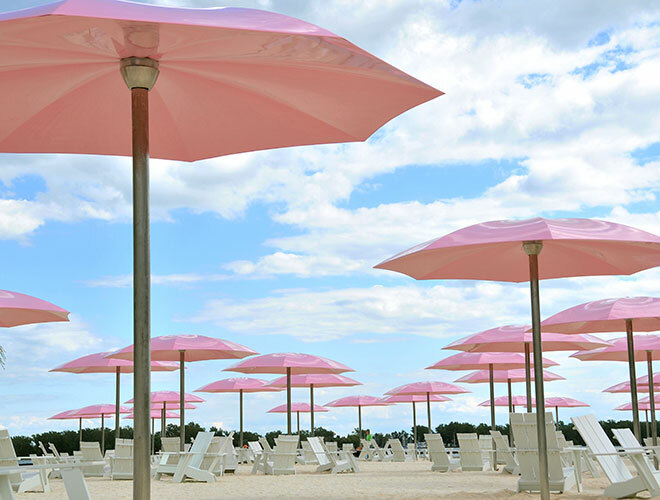 Canada's Sugar Beach is one of Toronto's most-loved parks with its brightly coloured pink beach umbrellas and iconic candy-striped rock outcroppings. Drawing upon the industrial heritage of the area, Sugar Beach is a great place to enjoy a summer festival, watch marine activity, or relax with friends in a white Muskoka chair.